We are celebrating St. Patrick's Day here! and some very friendly leprechauns! I am feeling extremely lucky!! Maybe I should go by a lottery ticket! as I do every year, because it is my Birthday! We always have fun and usually celebrate with some green beer. I hope you feel just as lucky! Cheers to a fun St. Patrick's Day! 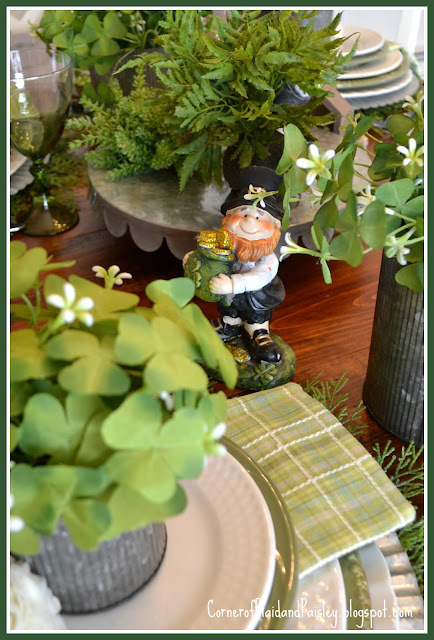 What a beautiful and festive St. Patrick's table. Perfection, can you tell me who the maker is of your napkins? The napkins are by Park Designs - Garden Party is the pattern - I hope this helps!! Beautiful stack of plates, Ann. Then your green plaid napkins layered between the plates is perfect. 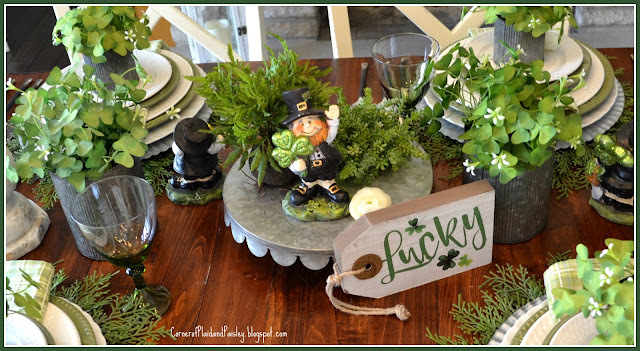 Great table for St Patty’s Day. 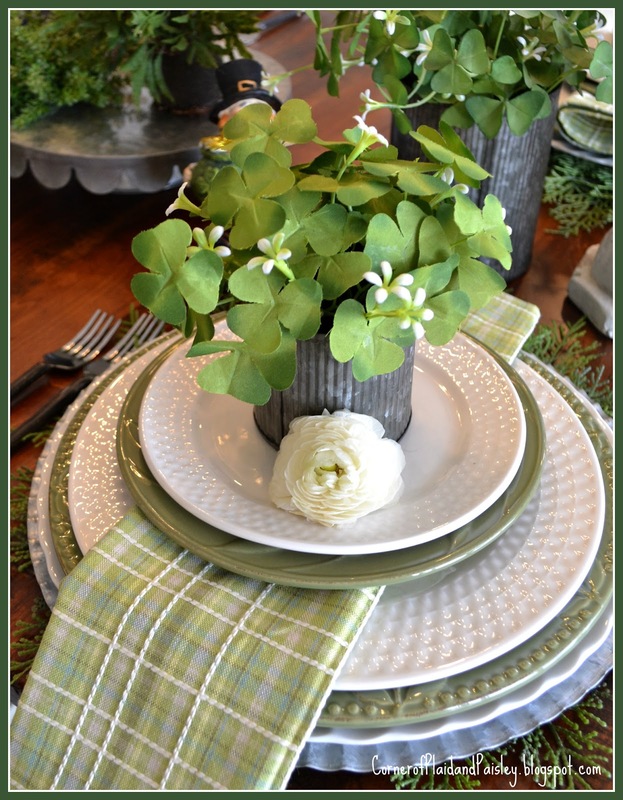 Ann, what a lovely St. Patrick’s Day Table. I do love the napkins, they complement the table so beautifully! Happy early birthday! What a charming and fun table with all the shamrocks and leprachans, love it. Gonna be a fun time sitting there for sure. Blessings and Happy St. Patricks Day early. How fun to always have a theme for your birthday and you've done it up right! 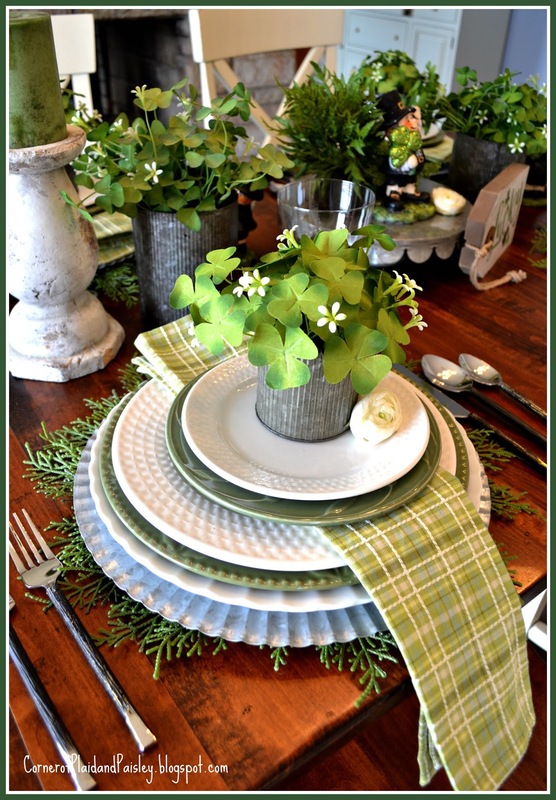 Such a lovely St Pat's tablescape! 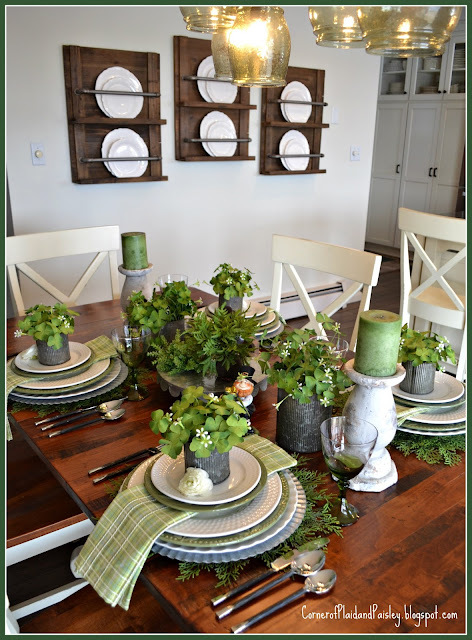 I love everything from the perfect centerpiece to the plaid napkins to those fabulous candleholders to the little plant pots at each place setting. 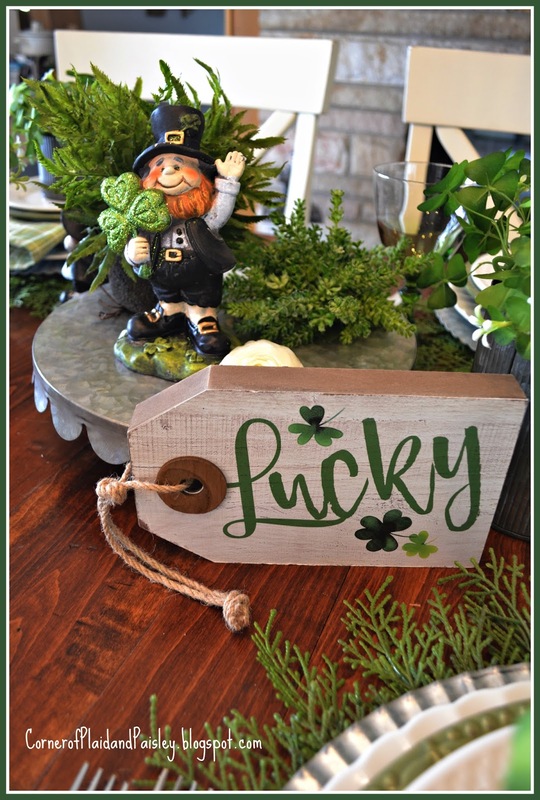 Hope you have a very happy birthday and a "lucky" St Patrick's Day! 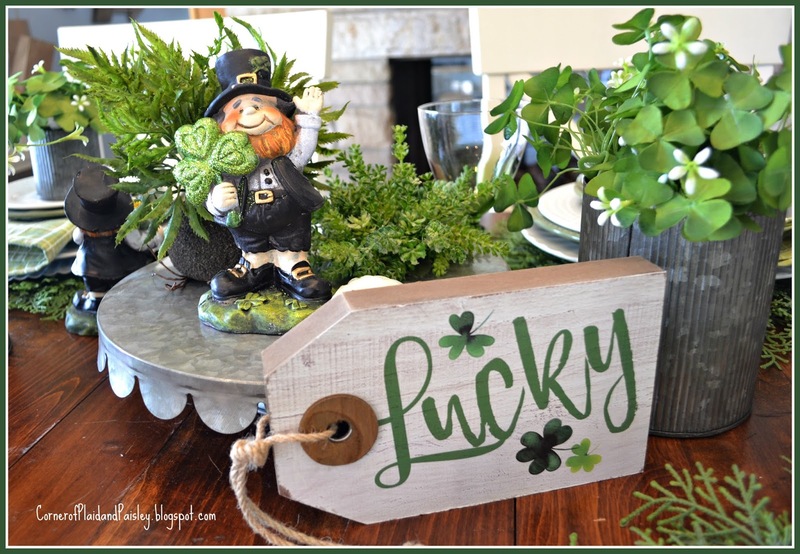 Your St. Patrick Day's decorations look great. 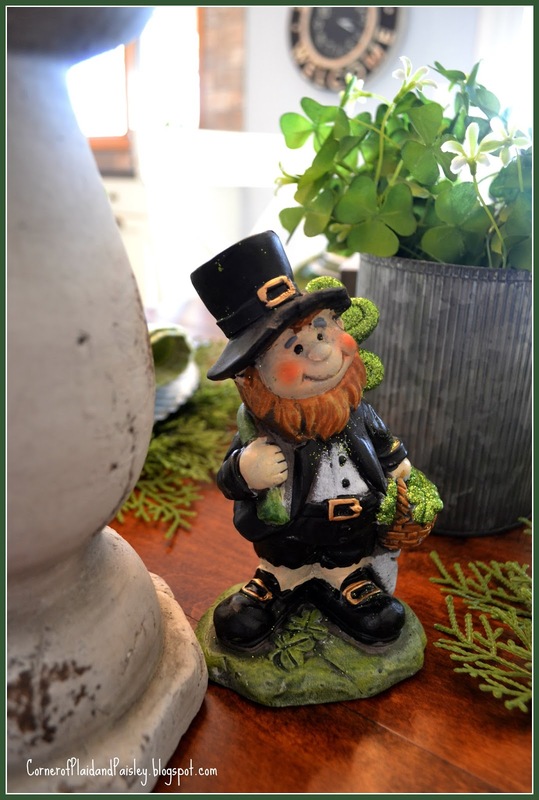 I don't think I've ever decorated for St. Patrick's Day before. I'm interested in reserving this beautiful place. Placing a music show which does not have cultural preferences becomes difficult in a banquet hall environment. It requires planning and decorating imagination. The rental spaces for parties have the right décor for any event.